Candyass was formed in 1993 by Ben Schelker and Nick Atkinson of The Oxymorons and Joel Lench. 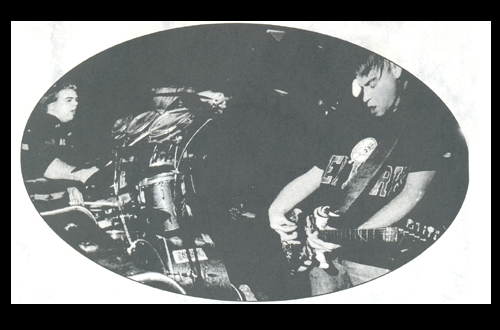 Their brand of Punk-pop was powered by Ben’s always hyper nature and Joel’s frantic bass playing. One of my favorite things about Candyass was their diversity. Both Ben and Joel played guitar, bass and sang and on one song Ben would play drums and Nick would take over on bass. Always playing fun and energetic shows they were missed when their time came to an end.